Showing this weekend Home! April 17-19 the movie starts at 7:30P.M. 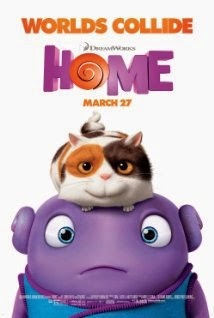 This movie is rated PG and stars Jim Parsons,Rihanna and Steve Martin!